Easy to assemble and breakdown Tri-Clamp fittings are ideal for short term process lines and equipment. Due to the high quality material these types of fittings are often seen in pharmaceutical and chemical plants. Filcoflex offers a variety of flexible connections that are Tri-Clamp fitted. LFR is a flexible connection equipped with a Tri-Clamp coupling. 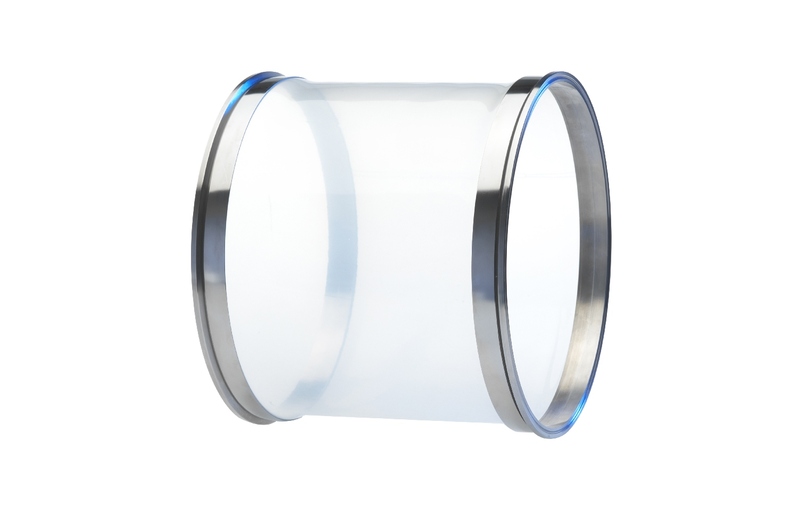 Pressing stainless steel 316(1.4571) ferrules onto the flexible connection makes the entire connection airtight and gives it a smooth flow profile. There are many application options, including specific options for weighing and dosing techniques, Atex, foodstuffs, chemical and detection. De LFDDC is a connector that is assembled using different components and at least one side is fitted with a Tri-Clamp flange connection. The Tri-Clamp connection has the advantage that it is easy to disconnect. All the different parts that compose the connector make it the most leak tight connector in our range. 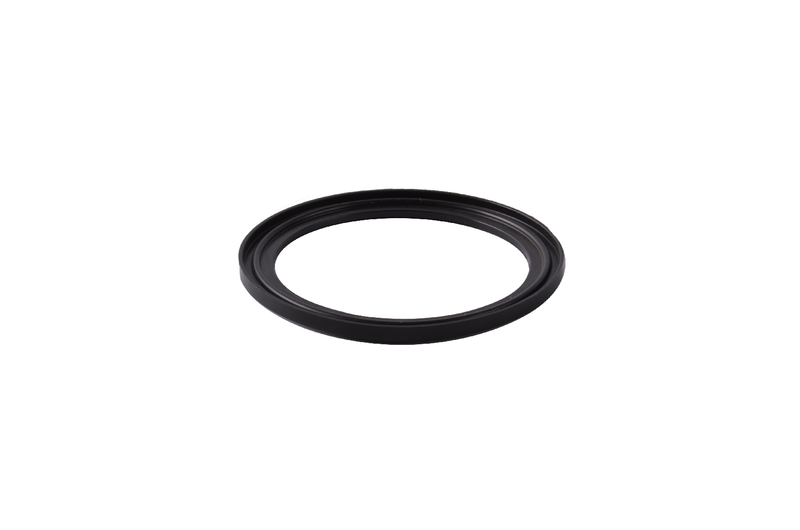 The Hecht Tri-Clamp bellow is moulded from one piece. It is designed for optimal hygiene and to create optimal weighing results. The weighing bellow is available for Tri-Clamp connection and is pressure resistant up to 100 mbar. It is suitable for CIP. Flexible compensators, also used as flexible pipe connections, flexible transition pieces, socket joints or known as connectors, are very suitable in such cases where connection, vibrations and moving misalignment have to be compensated. 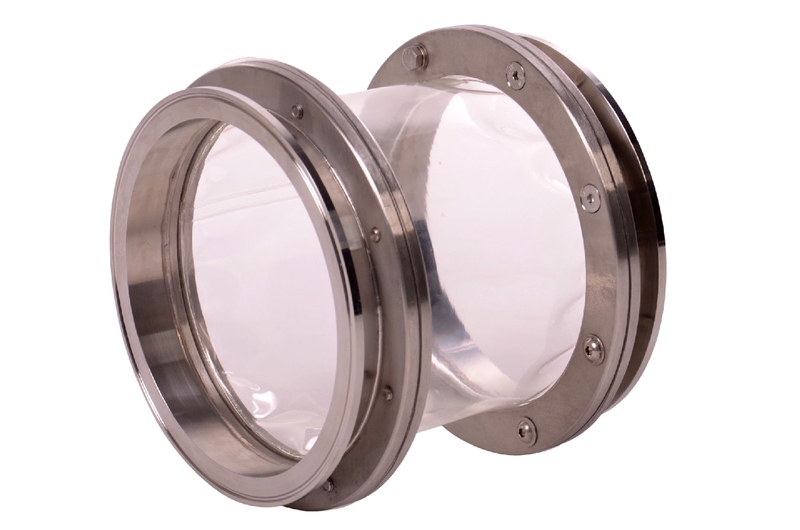 These expansion joints will be often used at the centrifuge discharge or at oscillating sieves. 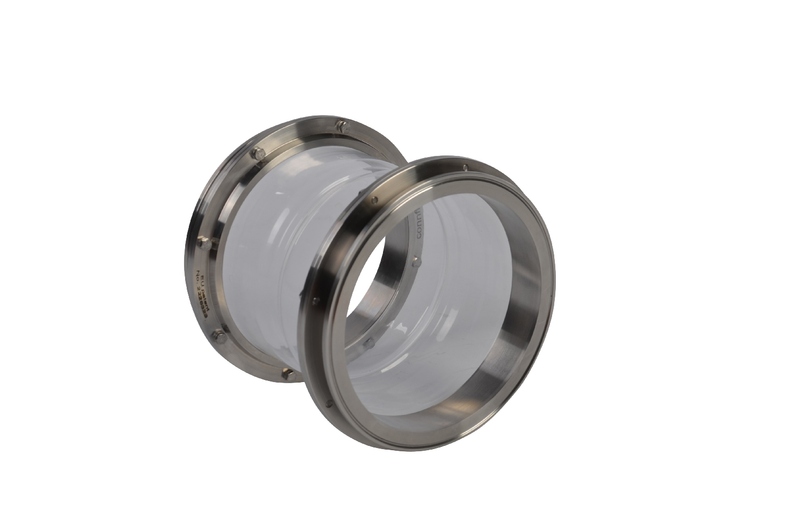 They are solvent resistant, extremely hard-wearing and are also suitable in hazardous areas. 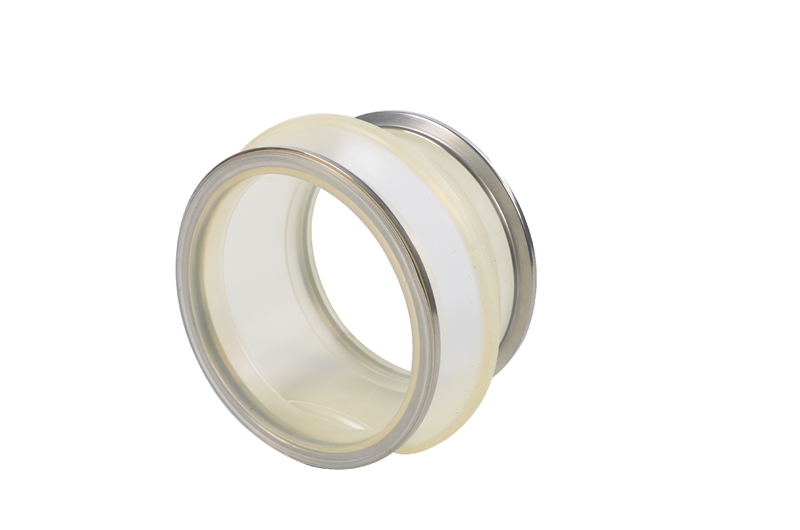 Expansion joints are widely pressure proof, easily replaceable and well-priced. In addition to the connectors that are fitted with TriClamp there are a few accessories that can contribute to easy assembly in various ways.